"The notion of time as something mechanical, objective and measurable by a machine, conceived as a mathematical variable that seems to increasingly control our lives. As with modern science, the time that rules us is understood quantitatively, as a discontinuous extension, a straight line that can be infinitely divided into instants that aren’t necessarily related. Everything passes as if there is no sequence, nor accumulation of the past in the present. Nowadays, as well as lack of memory, it seems we are also loosing the notion of the duration of time, as time lived, disassociated to the movement of continually planned moments. Ivan’s work presented, permits us to reflect on questions related to time and memory. 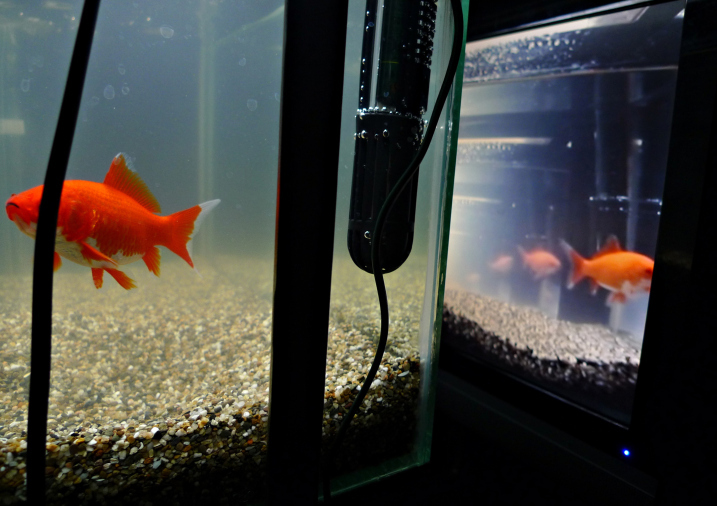 It is composed of a closed circuit where a video camera, which faces and captures images from a rectangular aquarium containing a live Goldfish, the image is transmitted to a monitor, which has the same proportions of the aquarium and also faces it. 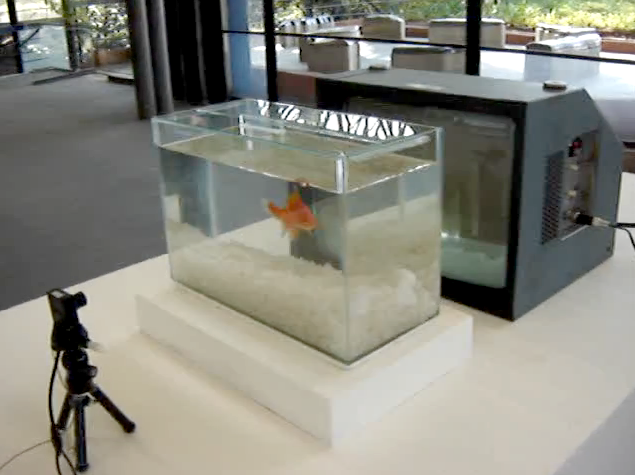 Between the camera and the monitor there is an apparatus, which gives a three second delay to the live image. In this way the fish, which as we know has a three second memory-span, can see it’s recent past, which would otherwise not be able to reach." "Bird Composition for Zuidpark is a performance in Zuidpark in Den Haag. 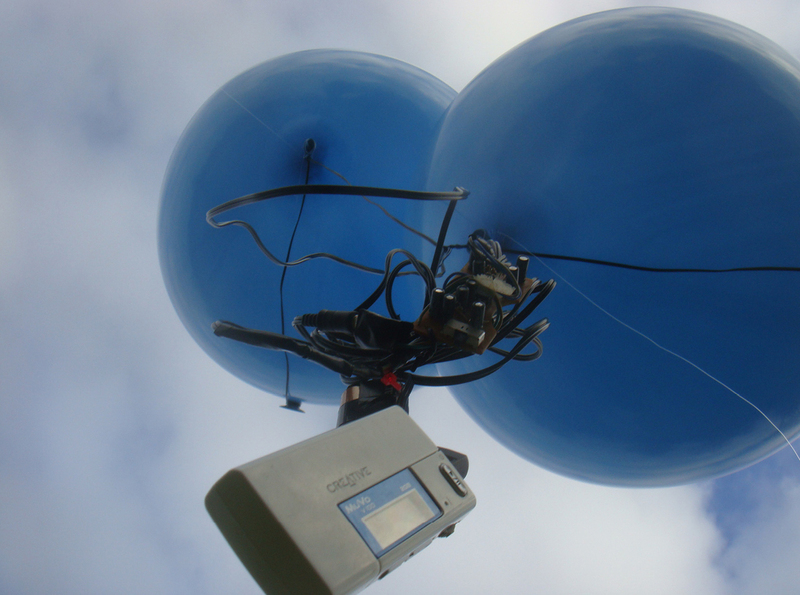 An artificial flying animal, consisting of two helium balloons with speakers attached, produces sounds of birds from a MP3 player. In this work I aim to establish a conversation between birds in the sky." - Ivan Henriques.